I missed the biscotti last week, no coffee drinkers here. But looks like I need to try them. I too need more goodies I love! Don't miss the Date Nut Loaf, it could be in my Dorie top 5, yummy! I did not make the biscotti last week so you are doing beter than I am. With the heat we are having I am finding it hard to get motivated to stay in the kitchen. Your biscotti look PERFECT. I loved these cookies too! I kind of wish I had one right now. 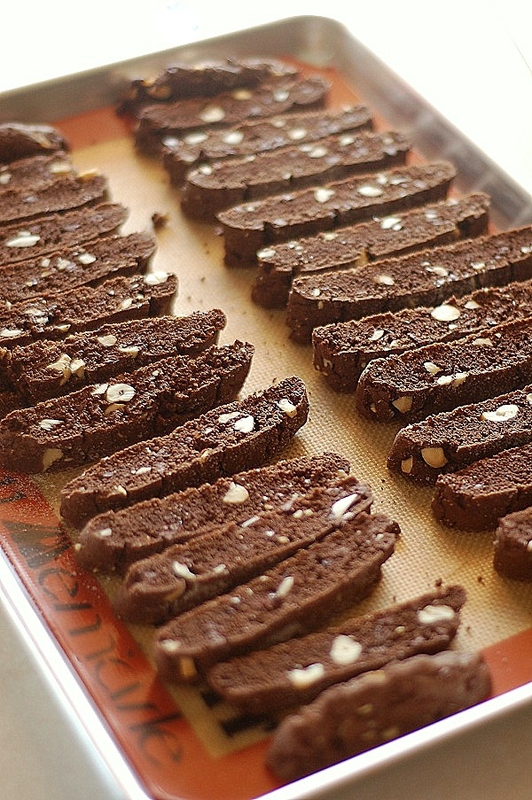 I actually never made biscotti - but these looks SO good - perhaps I better start! Or maybe even eating coconut while running! 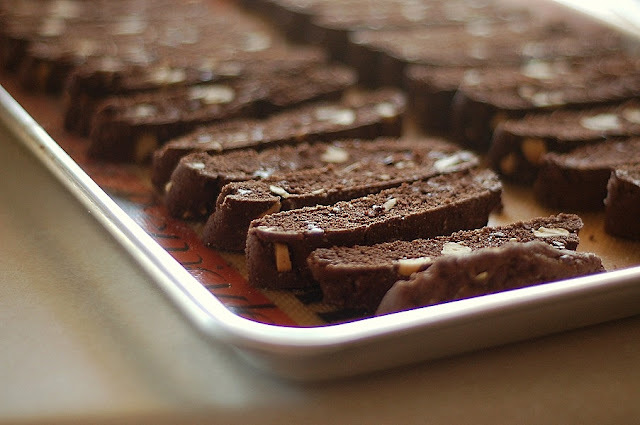 Certainly did love this biscotti--went to my parents so my dad would eat a bunch of it. He loved it so much we made three batches of biscotti and they sold it at their cookie booth at their farmers' market. Your biscotti look great! I think that people think they will be tough to make but they are quite simple once you get the hang of it. nice job playing catch up! they look perfect as expected. The biscotti looks amazing! I recently broke down and just bought the book because I think the library wanted their copy back! lol! I'm going to have to make these soon to share with co-workers. Yum!